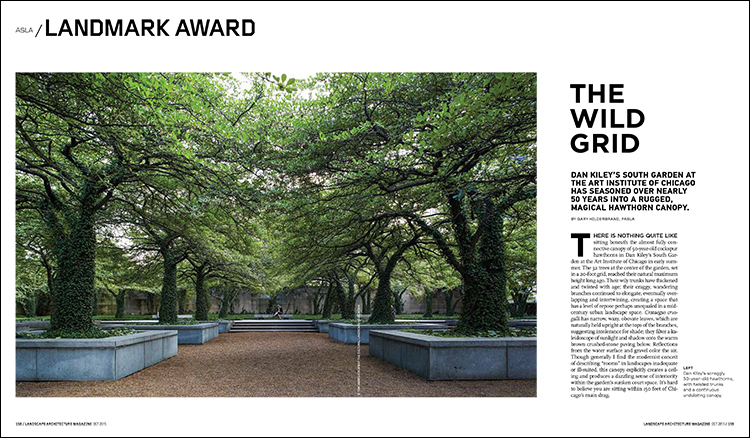 Dan Kiley’s South Garden at the Art Institute of Chicago has seasoned over nearly 50 years into a rugged, magical hawthorn canopy. 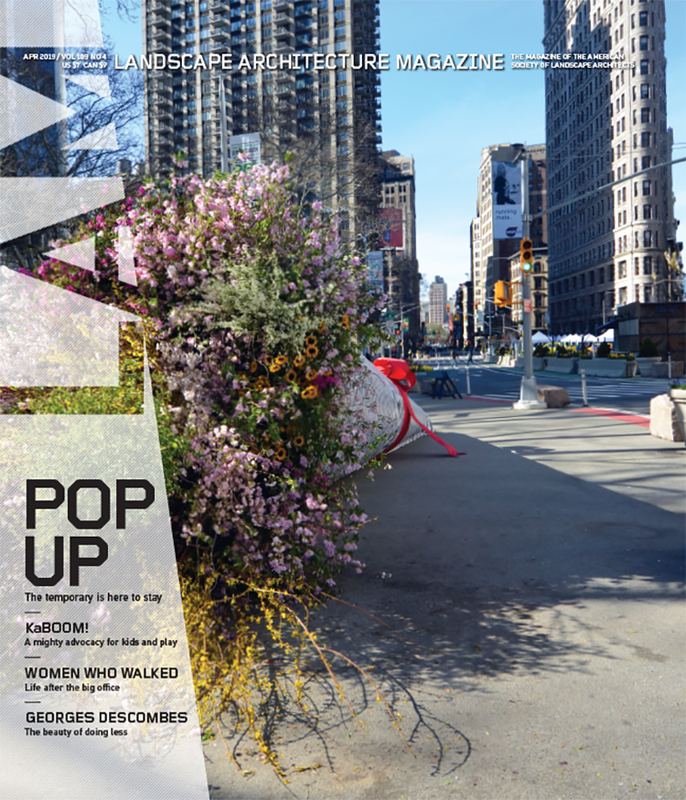 From the October 2015 issue of Landscape Architecture Magazine. There is nothing quite like sitting beneath the almost fully connective canopy of 50-year-old cockspur hawthorns in Dan Kiley’s South Garden at the Art Institute of Chicago in early summer. The 32 trees at the center of the garden, set in a 20-foot grid, reached their natural maximum height long ago. Their wily trunks have thickened and twisted with age; their craggy, wandering branches continued to elongate, eventually overlapping and intertwining, creating a space that has a level of repose perhaps unequaled in a midcentury urban landscape space. Crataegus crus-galli has narrow, waxy, obovate leaves, which are naturally held upright at the tops of the branches, suggesting intolerance for shade; they filter a kaleidoscope of sunlight and shadow onto the warm brown crushed-stone paving below. Reflections from the water surface and gravel color the air. Though generally I find the modernist conceit of describing “rooms” in landscapes inadequate or ill-suited, this canopy explicitly creates a ceiling and produces a dazzling sense of interiority within the garden’s sunken court space. It’s hard to believe you are sitting within 150 feet of Chicago’s main drag.